The 2015/16 Premier League season will surely go down as the most unpredictable and extraordinary in the competition’s history, with Leicester City going from 5,000-1 outsiders to top-flight champions for the first time. Nobody expected such an underdog story in the summer when Claudio Ranieri replaced Nigel Pearson as manager of a Leicester team that had been on the brink of relegation before an incredible end-of-season run in 2014/15. Ranieri's arrival and the additions of N’Golo Kante and Christian Fuchs began to shape what was to follow. They started with a 4-2 victory over Sunderland on the opening day. There was much more expectation at reigning champions Chelsea, who had brought in Radamel Falcao and Pedro to bolster their attacking options, while goalkeeper Petr Cech left Stamford Bridge for Arsenal and Raheem Sterling joined Kevin De Bruyne at Manchester City. Man City got off to a blistering start, winning 3-0 at West Bromwich Albion in the first of five straight victories to start the campaign. Chelsea's fortunes were a stark contrast, as defeats to Man City, Everton and Crystal Palace left Jose Mourinho’s side hovering above the relegation zone in September. Summer signings continued to make a big impact as Anthony Martial blew Liverpool away with a solo goal in a 2-1 win on his Manchester United debut at Old Trafford and Dimitri Payet helped West Ham United to an opening-day win at Arsenal and similarly impressive away triumphs at Liverpool and Man City. Manuel Pellegrini's Man City began to falter and a 4-1 defeat at Tottenham Hotspur, which put Mauricio Pochettino's Spurs into top-four contention at the end of September. 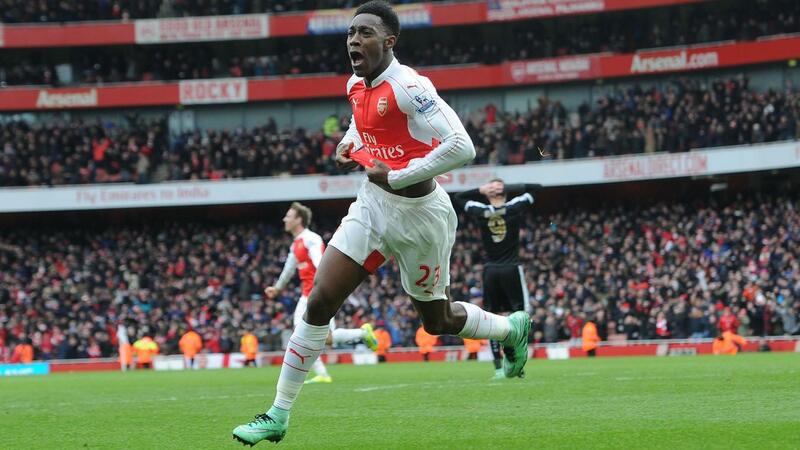 Arsenal ended Leicester’s unbeaten start with a 5-2 victory at the King Power Stadium on the same day. But Leicester recovered, inspired by the form of Jamie Vardy and Riyad Mahrez. Vardy set a record of scoring in 11 successive PL matches when he beat former Man Utd striker Ruud van Nistelrooy’s 10-match run in a 1-1 draw against the Red Devils. A 2-1 victory over Chelsea, sealed by a superb effort from Mahrez, put the Foxes top after 16 matches and left the Blues in 16th. 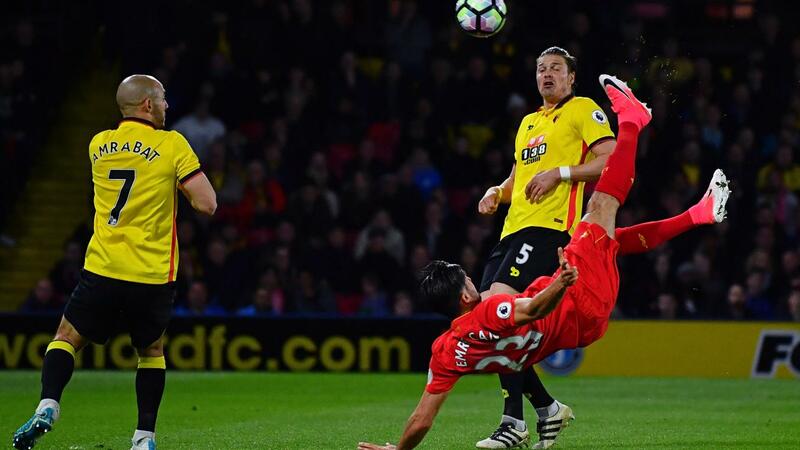 That result and home defeats to Southampton and top-flight debutants AFC Bournemouth, as well as a 3-1 loss that was Jurgen Klopp’s first win since replacing Brendan Rodgers as Liverpool manager, meant Mourinho was relieved of his duties. Guus Hiddink replaced him as interim manager until the end of the season, leading a steady improvement, but they were out of the title race as Leicester, Arsenal, Man City and Spurs moved clear of the rest. Victories over Man City and Man Utd helped Arsenal to top spot at the turn of the year, despite a shock 4-0 defeat to Southampton on 26 December. Leicester suffered a 1-0 loss to Liverpool that day but galvanised their title challenge by winning at Spurs, and after the 1-1 draw at bottom club Aston Villa, under Remi Garde's management following Tim Sherwood's departure, Ranieri's men would not relinquish top spot for the rest of the season. They strengthened their grip on first place when Vardy scored a thunderous volley in their 2-0 win over Liverpool before Mahrez inspired a 3-1 triumph at Man City. A stoppage-time defeat to Arsenal on 14 February was the last time they were to taste defeat, while Spurs capitalised with victory at Man City on the same day. The emergence of Dele Alli was key to Spurs' rise, signed as a teenager from Milton Keynes Dons in 2015. His goal of the season at Crystal Palace was part of a six-match winning streak for Spurs, before a midweek loss to top-four contenders West Ham and a 2-2 draw with Arsenal, allowed Leicester to build a five-point lead with nine matches left. Arsenal were soon out of the running, with 18-year-old Marcus Rashford scoring two goals in his top-flight debut as Man Utd beat them 3-2 at Old Trafford, and then a resurgent Swansea side steering clear of relegation troubles under the guidance of Francisco Guidolin, who replaced Garry Monk as head coach. Ranieri's men only grew stronger in the home straight, and so did their defence. Six wins without conceding in the space of seven matches combined with draws for Spurs against Liverpool and West Brom left Leicester needing to win at Man Utd to clinch the title. They earned a 1-1 draw but the following day the most extraordinary title wins was sealed as Spurs let a 2-0 lead slip to draw 2-2 at Chelsea. 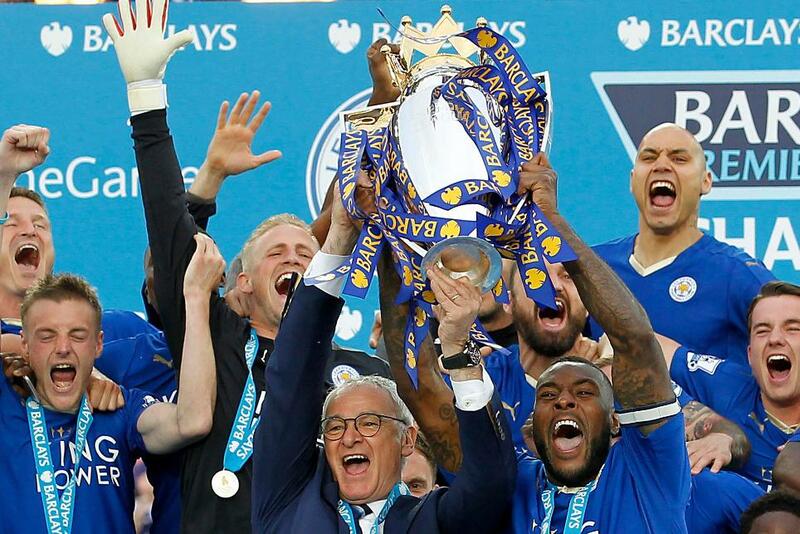 Leicester’s trophy moment was an occasion to savour, with Andrea Bocelli singing a spine-tingling rendition of Nessun Dorma before Leicester beat Everton 3-1 and captain Wes Morgan lifted the trophy in front of the rapturous King Power Stadium crowd. Spurs were winless in their final four matches as Arsenal pipped them to second place, while Manchester City secured UEFA Champions League football in Manuel Pellegrini’s final season as manager, with Pep Guardiola agreeing to take over in the summer. Southampton beat Man City and Spurs in a strong finish as they claimed a club record sixth place, behind Man Utd, while West Ham stuttered at the end of their final season at the Boleyn Ground despite a dramatic 3-2 victory over the Red Devils in their last match at the stadium. Liverpool may have finished eighth but an impressive run to the UEFA Europa League final, where they lost to Sevilla, showed plenty of promise ahead of Klopp’s first full campaign in 2016/17. Promoted Watford and AFC Bournemouth earned safety with their highest PL finishes, while Aston Villa were cut adrift and relegated from the competition for the first time in April. In the run-in, the battle for survival was between three teams. Norwich City went straight back down after five losses in their last six matches, while Sunderland turned to manager Sam Allardyce to lead the Black Cats, and Rafael Benitez arrived at St James’ Park to galvanise a team that had brought in England internationals Andros Townsend and Jonjo Shelvey in January. But despite finishing with a six-match unbeaten streak, Benitez's Newcastle were relegated as Sunderland, spearheaded by 15-goal striker Jermain Defoe, lost just twice after 2 February and confirmed their escape when they beat Everton, in Roberto Martinez’s last match as manager, 3-0 in Matchweek 37. But the season belonged to Leicester, with manager Ranieri and his players given a guard of honour as they finished the season with a draw at Chelsea, the Italian's former club and the previous champions.